Guns are cool. Guns are bad. Guns protect us. Bad guys use guns. 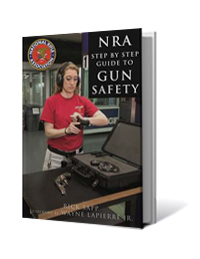 A gun is simply a device that can be used properly or improperly, just like cars or painkillers. All of these may be true statements, but probably very few of us agree with all of them. 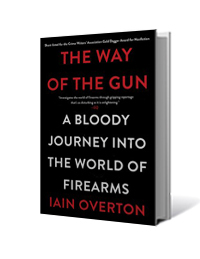 Another true statement: There are lots of books about guns and some people, who may be your patrons, like to read them. 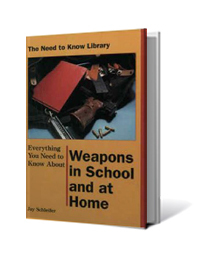 In many ways, guns are just a part of working in a library. 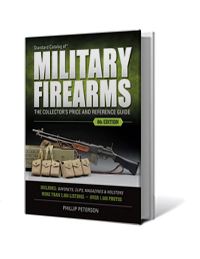 Just as libraries developed policies to address homelessness or Internet access, libraries now address guns administratively as well as in collection development. Some libraries have “active shooter” plans and have participated in active shooter drills. 3D printers are still pretty new. They’re certainly not found in every public library branch. But libraries have had to address the possibility that someone might use a 3D printer to make a weapon, or part of a weapon. Consider this article about policies on 3D printer use. Recently, a library in Herriman, Utah, hosted classes on mental health. A volunteer brought in some gun locks and asked if the library could give them away. The answer was yes, and not long after, the Salt Lake County Library system acquired another 800 gun locks, all of which were given away within one day. Statistics on gun ownership aren’t perfect, and the number of guns in our country varies depending on the source. However, according to Pew Research Center, about 30% of American adults own guns. As librarians, most of us at least once have said something like, “This is not what I signed up for!” The world really loves to prove us wrong about that. Be safe, be ready, be a librarian.